Roll Up Your Sleeves and Do Some Outreach was written on November 24, 2009 and filed in All, Brighton and Hove - UK, Issues Forums, Local, Minneapolis - US, Minnesota, Neighbor Neighbourhoods, New Efforts, St. Paul - US, UK, US. Last Wednesday, the volunteers of start-up team and local district council staff met at the Hmongtown Marketplace over lunch to discuss the next phase of bringing the Greater Frogtown Neighbors Forum to life. 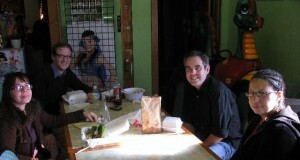 Outreach went extremely well, but the introductions phase was stretched out longer than desired. Some topics have generated some exchange, but for most members this is likely their first online community experience much less speaking in “public” about issues that matter to them. We agreed to continue leveraging the District Council’s event announcements and work to generate online discussion that can feed into their regular community meetings. We want to use the forum to get people out in-person when possible. In terms of online outreach, the forum now has a companion Facebook Fan page and Twitter feed where new posts are promoted. 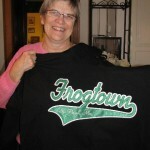 After the meeting I dropped by “Designs By Day” to pay for the Frogtown sweatshirts we offered as door prizes. On Thursday night, with the help of Ravi Reddy, a Community Technology Empowerment Project Americorps volunteer who runs the computer lab at the Brian Coyle Community Center, we signed up 56 new members for the Cedar Riverside Neighbors Forum at the Multicultural dinner. We launched outreach a year ago at this same dinner. Compared to online outreach for local forums which can take ages to attract members (who is really going to search for something they don’t know exists), these in-person recruitment numbers are huge. Before the dinner, I spent time around the center meeting with folks like Abdirahman Mukhtar, the Center’s Youth Program Manager and Amina Harun the Community Outreach Coordinator to gather ideas for our next steps as we seek to deepen this forum and work to support a forum that reflects the amazing diversity of this neighborhood in terms of content and discussions not just members recruited. Cedar Riverside is now also on Twitter and Facebook. 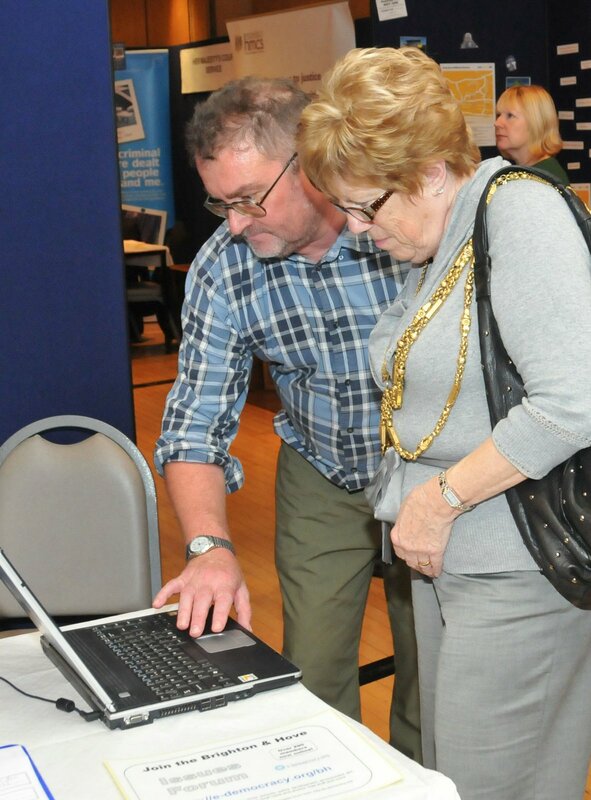 On Saturday, Mike Snewin, our local Forum Manager volunteer for the Brighton & Hove Issues Forum, spent all day at the local government’s Get Involved Day showing off the forum to all who were interested. Mike noted the fear of a full inbox in many conversations. For that we have the daily digest or web-based option. Soon you’ll be able to follow this forum via Twitter or Facebook as well. Mike spent most of the day sharing a table of Mark Walker with the Sussex Community Internet Project and co-founder of the Issues Forum. Thanks Mark. They noted light traffic at the event with ten new forum members signed up. So is that a good number? Absolutely. The forum had its biggest increase in members in one day in over three years. In-person outreach is the most effective way to reach out to new people when building a local online community. Today I posted on my personal Democracies Online site about Local 2.0 trends in the UK and tried to hammer that point home with the next generation of emerging e-participation projects in that country. I still think folk actually think most people will come if you build it. Not if you are a niche local site starting from scratch with no existing online traffic to leverage.